An Indian Army Recruitment Rally under the aegis of Headquarters Recruiting Zone, Trivandrum (Thiruvananthapuram) will be conducted by Army Recruiting Office, Trivandrum from 18 April to 27 April 2018 @ Kolachal Stadium, Pangode Military Station Trivandrum.to recruit the male candidates who are interested in joining in Indian Army.The army recruitment rally in Kerala Trivandrum (Thiruvananthapuram) is for recruiting candidates to Indian army in the categories of Soldier General Duty (GD), Soldier Technical, Soldier Nursing Assistant, Soldier SKT / Clerks, Soldier Tradesmen. The candidates from districts of Kerala ie, Alappuzha, Ernakulam, Idukki, Kollam, Kottayam, Pathanamthitta & Trivandrum districts can apply and attend this army recruitment rally Trivandrum.Eligible candidates can apply online from 19 February 2018 to 05 April 2018 using the link given below. The venue of the recruitment rally will be Kolachal Stadium, Pangode Military Station Trivandrum, Kerala. 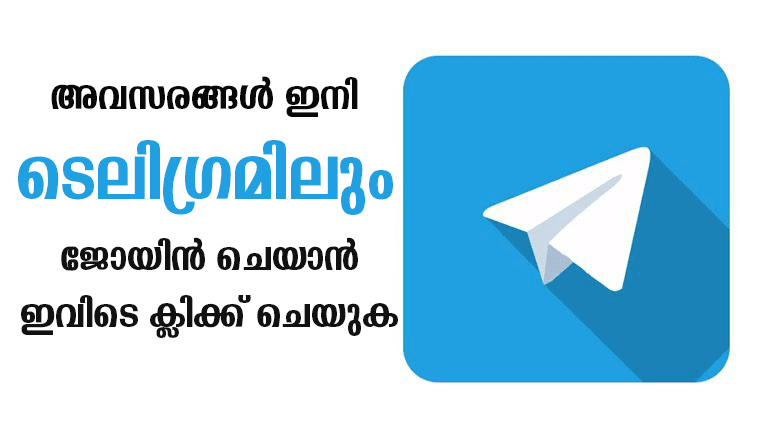 Details about the ARO Trivandrum recruitment rally venue, rally dates schedule, army recruitment application, recruitment registration, army recruitment exam, educational qualifications, age limit, selection procedure etc are given below. District Covered:-Trivandrum, Kollam, Ernakulam, Kottayam, Idduki, Alappuzha and Pathanamthitta. Soldier GD: Candidates should have secured 10th class with 45 percent marks aggregate and 33 percent marks in each subject. No percentage considered for candidates having a higher qualification. Required physical measurements are Height 166 cms, Weight 50 Kgs and Chest 77 to 82 cms. Soldier Clk/SKT: Candidates should have passed Class 12 with 60 percent aggregate marks & 50 percent marks in each subject. Besides, the candidates should have studied English and Accounts/Maths/Book Keeping in 10th or 12th Class with 50 percent marks in each subject. Required physical measurements are Height 162 cms, Weight 50 Kgs and Chest 77 to 82 cms. Tradesmen: Candidates should have passed 8th Class for House Keeper, Mess Keeper and 10th Class for all other tradesmen. Required physical measurements are Height 166 cms, Weight 50 Kgs and Chest 77 to 82 cms. Sol Technical: Candidates should have passed 10+2 or Intermediate in science stream with Chemistry, Maths, Physics and English with 50 percent aggregate marks and 40 percent marks in each subject. Required physical measurements are Height 165 cms, Weight 50 Kgs and Chest 77 to 82 cms. Soldier GD:- Interested Aspirants should be between 17.5 to 21 Years of Age. OR Born Between 01-10-1997 to 01-04-2001. All Other Posts:- Candidates should be between 17.5 to 23 Years of Age. OR Born Between 01-10-1995 to 01-04-2001. Selection of candidates is based on the physical, medical and written examination conducted by Indian Army. (g) Enrollment and Dispatch of selected candidates in order of merit to Centres. Only Un-married Men Candidates are eligible and Online Registration are mandatory for All Candidates to Participating in Recruitment Rally. Only Those Candidates will be allowed to Participate in Recruitment Rally who have A Valid Admit Card. Admit Cards will be available on official Portal of Join Indian Army from 11 April 2018. Candidates must be Take a Printout of Admit Card in Black & White and from “Laser Printer” Only. Date of Reporting at Rally Venue will be mentioned on The Admit Card and Candidates are requested to bring their Admit Card & Application at Rally Venue. All Candidates will paste a Passport size Photograph in the Top right-hand corner of the admit card and self-attest it. Candidates should bring A Photocopy of Aadhar Card and PAN Card along with admitting card. Only candidates who have registered ‘Online’ will be allowed to participate in the Rally. All candidates must be Apply Through Official Portal of Join Indian Army at www.joinindianarmy.nic.in/ The online application will remain open from 19 February 2018 to 05 April 2018 (Other Mode of Applications will not be Accepted).All candidates should register online at www.joinindianarmy.nic.in from 19 February to 05 Apr 2018. Click on JCO/OR apply/login. A new window will be opened where registration is available. Provide all necessary details and submit the application online. Only registered candidates will be allowed to participate in the Rally. Candidates can download admit cards after 11 April. Army Recruiting Office (ARO), Thirumala PO, Thiruvananthapuram – 695006. Phone: 0471-2351762. Eligible candidates can apply online using the link given below.